mskayepp from Lorrie Quirk on Vimeo. 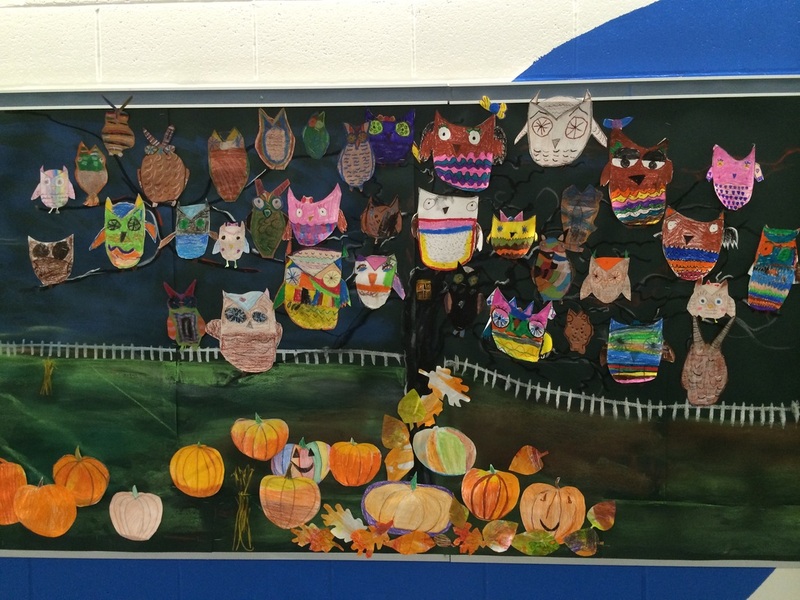 This collaborative art project is showcased on our 2nd floor near the 3rd grade classrooms. Art teacher Roleen Bisaillon-Sheehan worked with multiple grade levels to welcome fall. the 3rd and 4th graders used oil pastels to create the owls. 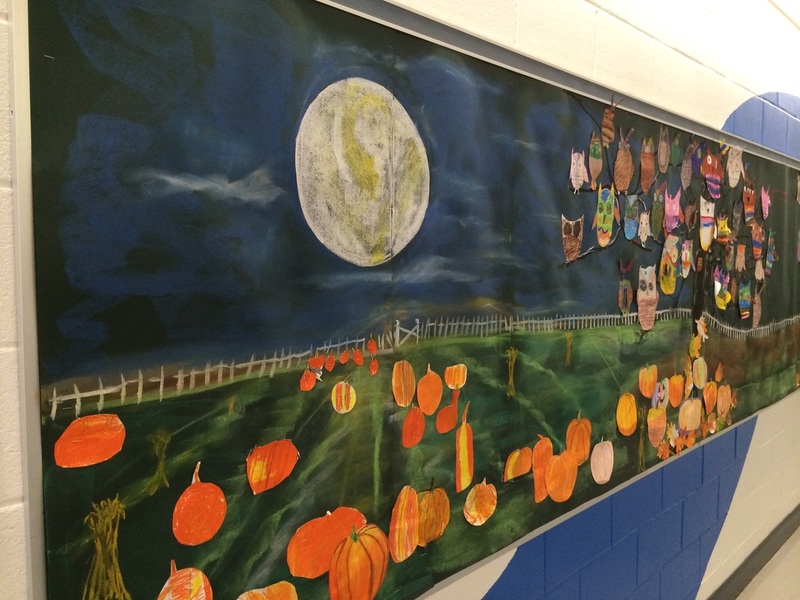 First and third graders added the pumpkin patch made using crayons and oil pastels. Falling autumn leaves were made created from painted paper that our kindergarten classes made with oil pastels and liquid water color paints creating a "resist" pattern. 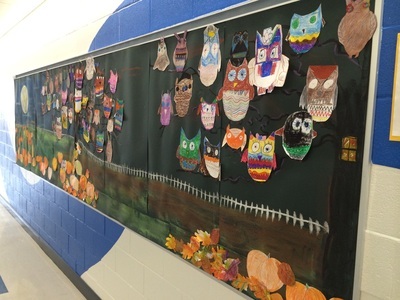 We hope you enjoy the work our students and teacher created - we think it is Hoot!